Tiny in size, mega in reputation, massive in quality: here you’ll find soup noodles to knock your socks off – after you’ve paid your dues in the queues. 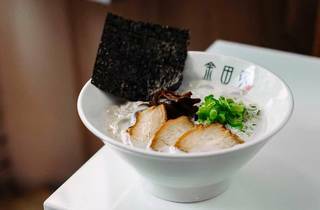 Founded in Japan in 2009, this award-winning tonkotsu specialist arrived in London in September 2014. Small, brightly lit and minimal, it is not the place for a leisurely meal. And it has a serious downside: lengthy mealtime queues outside its doors. We queued outside for a chilly 45 minutes for a (shared) table. Once inside, it felt like being in a goldfish bowl, as hungry and hopeful diners watched us through the windows slurping our noodles. But there’s a reason for Kanada-Ya’s already-large fan base, which includes plenty of Japanese and Chinese customers: this is exceptional ramen. 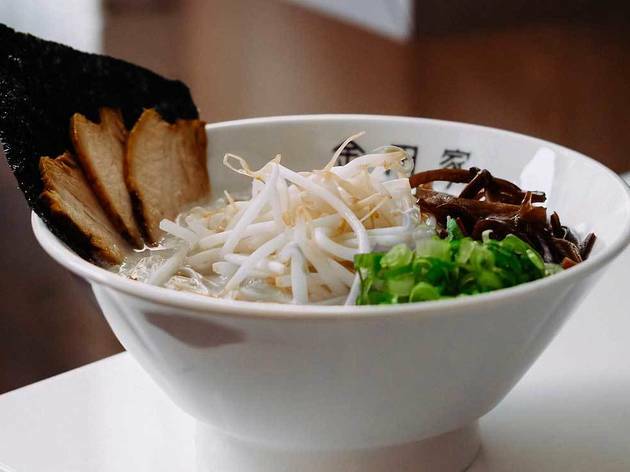 Pork bones are simmered for 18 hours to create the smooth, rich, seriously savoury tonkotsu broth – one of the best we’ve tried in London. Bowls of this are then filled with thin wheat noodles made on-site thanks to a noodle gizmo imported from Japan. They’re cooked to your specification, from super-firm to super-soft. Toppings range from pork belly slices to pork belly and blanched beansprouts or pork collar. (That’s right: if you don’t eat pork, forget it.) You can add extra bits and pieces such as soft-boiled marinated eggs (a must) or pickled mustard greens, although these were on the table anyway when we visited. To go with your ramen you can splash out on onigiri (rice triangles) stuffed with pickled plums or salted salmon – but you won’t need them. Drinks are strictly soft. If you want to try a classic Japanese fizzy drink, go for the Ramune. But be warned: it tastes seriously synthetic. The staff were lovely. They even agreed to charge our phone for us. Interactions are minimal, however, as choosing your meal involves no more than ticking choices on a paper order sheet. If you want nothing more than excellent noodles in broth, Kanada-Ya’s the place for you. Meal for two with soft drinks and service, around £30. Hands down best ramen in London. Best thing was we got here earlyish (just before 6) on a Thursday and we walked right it. For a place renowned for its queues, this pleased us immensely. I had a can of oolong iced black tea and we started with some karage. I found the chicken pieces to be of a good portion size with a lovely crispy coating yet tender meat nestled inside. The spicy mayo was a great addition. Better than Tokyo Diner? Think it's a toss-up. The Tonkatsu X is just fantastic. 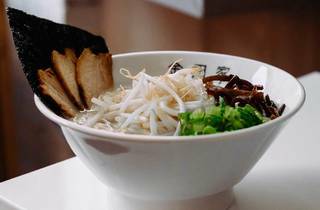 The right balance of pork, noodles and broth. Don't be ashamed to slurp your broth. Embrace the slurp... BE THE SLURP. 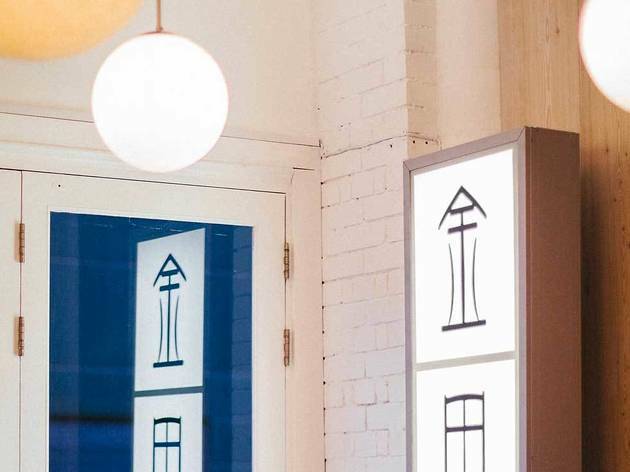 On Panton Street sits Kanada-Ya, a cosy authentic Japanese Ramen bar. 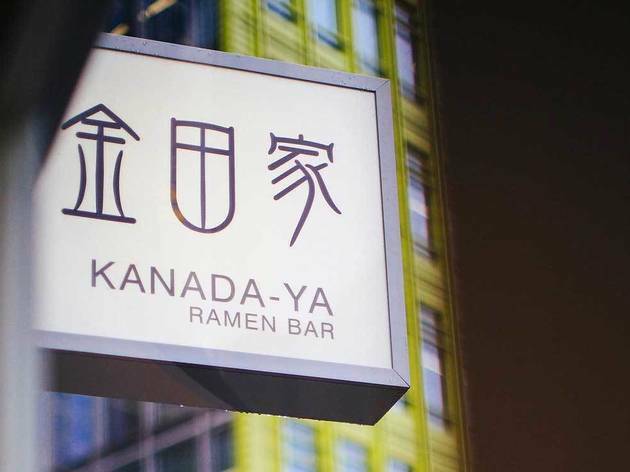 My love of Japanese food never seems to ends, so last year when I was invited to review Kanada-Ya ramen bar I quickly accepted. 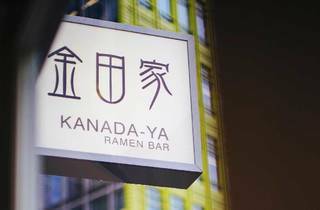 Kanada-Ya sits in the heart of Piccadilly and is a well-known ramen bar. Upon arrival, I traditionally ordered a sake sampler, which one is supposed to consume from left to right, and the sakes became sweeter and stronger as I drank on. Firstly, was the ‘Jewel brocade’- (Dewazakura Omachi Junmai Ginjo). A premium chilled sake, which is extremely flavoured with honey and sweet rice. For me, it was extremely sweet but in a distinctive way. Second from the sampler was the ‘Heart of Oak’ (Tamagawa Junmai)- Which is a masterpiece made by the genius British sales master Philip Harper, it was nutty and deep Umami and is to be served at room temperature. For me, this was better than the Jewel Brocade, it was rich in sweetness but does not leave a bitter aftertaste. Finally, the Yuzu (Umenoyado Yuzu liqueur)- a refreshing Japanese and fruit sake. For me this was the best of all sakes, as the alcohol was prominent, but was sweet and cooling, this definitely was my favourite. Although Kanada-Ya is predominately known for their Ramen, I was feeling extra hungry and thought I would try out some of their small plates. Karaage is Japanese fried chicken, served with mayo. I was pleasantly surprised with the first bite as the fried chicken is soft, supple and gently breaks off in the mouth. The chicken is well seasoned and full of flavour and is served in four pieces, although I only ended up eating one piece as the Karaage is quite filling. I also tried the Kanada-Ya’s Aburi Chashu, which is seared Chashu pork belly with yakiniku tare. I am a big lover of pork; especially pork belly and I could not wait to try this! The pork belly melted in my mouth and the musky but sweet taste enhanced once dipped in the provided sauce. The only issue is that some of the pork pieces were hard. I was advised to try the Tonkotsu X or Tonkotsu, which are the most popular Ramen choices at Kanada-Ya, however, I was coming down with a cold and the best way to cure a cold is with spice. Therefore, I chose the spicy Yuzu ramen; with spicy Yuzu, pork, corn-fed chicken broth, Chashu pork collar, wood ear fungus, seaweed and spring onion. The menu recommends choosing hard ramen noodles, so I went ahead with this recommendation I was worried about the wood ear fungus because I had no clue what ear fungus actually is, but all the ingredients in the dish worked well together. The ramen was full of flavour, as the taste of the spicy chicken broth has a potent taste, and is just the right amount of spice, which enabled me to still enjoy the dish. The seaweed added a more salty/savoury aftertaste to the ramen. I still had some Aburi Chashu left from my starters, so I added this to the ramen and let it soak in the broth, which aided in softening up the pork. I felt that there was not enough pork in the dish, but that is because I am a heavy meat eater, so I would advise adding extra meat as a topping. After most of the content of the ramen was gone, I shamelessly sipped on the chicken broth, which was delicious and I do believe it aided in getting rid of my cold, which is a bonus! As it was my second time trying ramen, I really enjoyed this experience and I would love to go back and try the Tonkotsu X. To refresh my palette I had a full large glass of Yuzu sake, which is very refreshing after the ramen. However, you are warned, for this sake is a silent creeper for the sake is so sweet that I did not realise the amount of alcohol I was consuming! Overall, this was a great experience for me as my second time eating ramen. 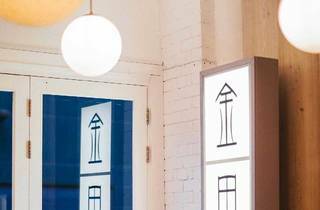 Kanada-Ya is ideal if popping in on a lunch break from work, or casually eating with friends. A good solid ramen offering. The variety of flavours is not massive and a little bit of a shame you have to pay extra for an egg (which is often included in ramen). The ramen itself was super tasty and as close to authentic as you can probably get. I would highly recommend the Spicy Yuzu which has a really nice level of spice, I also tried the regular pork which was also really nice. Oh lala! 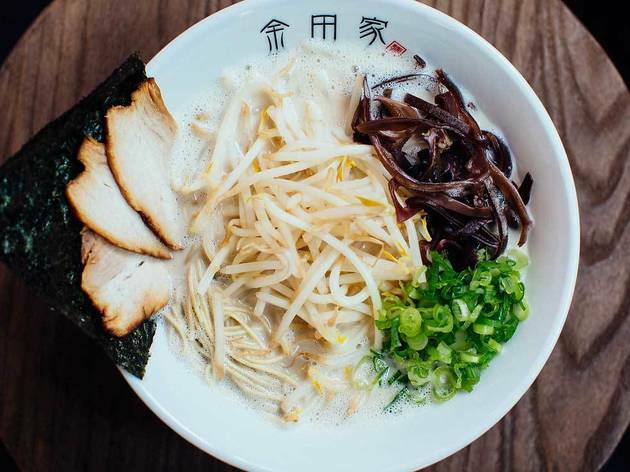 London's Ramen best kept secrets - cozy, authentic, filled with asian customers - always a great sing when looking for authentic asian gastronomy. Motto: Less is more. They don't have that many ramen options available but the few they have are absolutely delicious! Highly recommend. My love of ramen is a recently discovered one (I apologise in advance for my previous food ignorance) and so, like any new passion, it demands that I indulge as often as possible and try all variations out there. After reading many a positive review of this authentic Japanese ramen place, I was quite happy when a friend from out of town came to visit and was as keen to try it out as I was. As someone who has spent a serious amount of time in Japan, he was really impressed with the "realness" of the experience of having a bowl of ramen in London that was transporting him directly back to the streets of Tokyo. As for me, I was just happy with the delicious bowl of steaming broth, noodles that were cooked just the right amount and deliciously seasoned pork and brown egg. Not being a fan of match, I avoided the soft serve icecream but my globetrotting friend happily admitted it was some of the best he'd ever had and I trust him implicitly when it comes to food so you should as well. The bill was extremely reasonable for a couple of drinks, lots of delicious food and dessert. This is the best ramen I had in London, the taste is almost no different with the Japan's one, highly recommended. Tucked away in a tinny corner towards Holborn and with a minuscule size you would imagine the queue is always going to be big, which is totally the case. However, its reduced size is not the only reason for the queue, the quality and authenticity of the food is. Once we managed to get in (after around 20 minutes of sharing a bench with some Asian ladies), we were seated in a table with people we have never met before. The menu is fairly small, 5 types of Ramen one of which was sold out on the day and a few starters. We go for the Tonkotsu and add an extra egg on it. The food comes quickly in a hot bowl lovely presented. Oh man what a surprise when trying it! The broth is proper broth! Like flavoursome, home-made thick broth. The pork belly is tender and the noodles are boiled hard as per what we asked for. Probably one of the best Ramen I have tried in this city. Totally recommend the experience. True, you will queue to be tucked in a tinny place surrounded by strangers where not even your Primark bags will fit, but you will also get to takes amazing flavoursome food. Service was lovely and attentive and the turnaround of tables quick, so don't expect a long romantic dinner here. I LOVE LOVE LOVE this ramen joint! 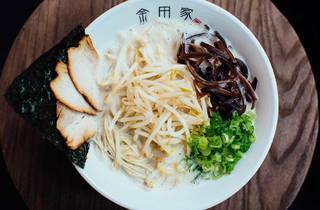 This is by far the most authentic ramen place you'll find in London. 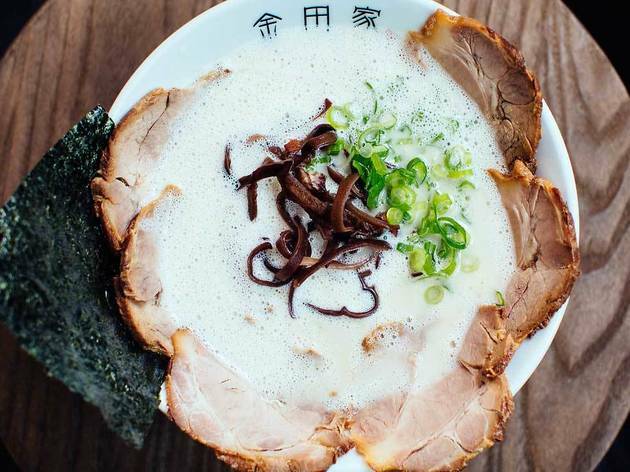 Their tonkotsu broth spoke to me - it taste just like you would in a ramen joint in Japan. The broth taste rich and delicious, but not rich to the point where it would make you feel sick. The queue can get really long though, so get there as early as 5:30pm for dinner. I don't like to queue, so I learned to go earlier. Enjoy! You can see a picture from my Instagram (Spoonstix). I've walked past this place so many times and it has ALWAYS had a queue of at least 15 people in it! I'm not one for queuing so I had resigned myself to the fact that i'd never get to try it for myself to see what all the fuss was about... and then one rainy day last month I walked past and there was no queue. Better yet, there was a table for 2 ready there, waiting for me and my boyfriend to fill it! So we did - finally we got the chance to see what the fuss is about! And it's about beautifully prepared ingredients soaked in a deep, flavoursome broth topped with succulent meats and a brown egg (an optional £2 extra) that revolutionised the way I now look at brown eggs! Who knew an egg could be both wholesome and sweet!? I didn't. But now I do, and now I can see why people wait upwards of 30 minutes for a table in this place. The menu is small, concise and perfected. 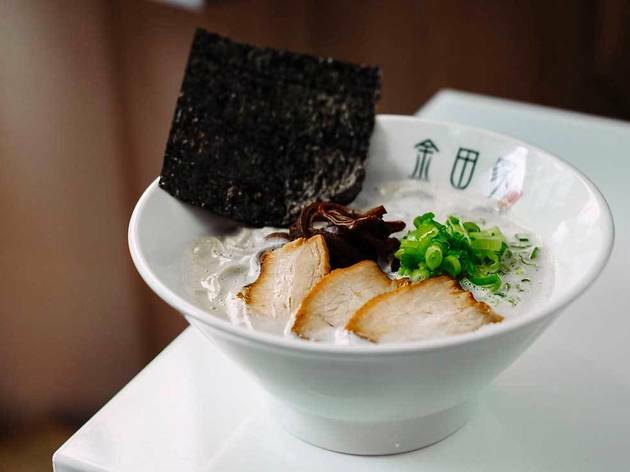 All you need to do is decide what kind of noodles you want (there are 3 options) and whether you want any extras (the egg, obviously) - these tasty bowls of ramen will set you back between £10-£15. I still don't know if I would bother queuing to enjoy this meal again, but if I ever have the opportunity to dine here without the wait, I'll probably leap at the chance! There is ALWAYS a queue outside but it's worth the wait. It's the best ramen I've had in London. The staff are really friendly and the service is quick and efficient. When Asians queue outside an Asian restaurant, you know there must be something good about it. 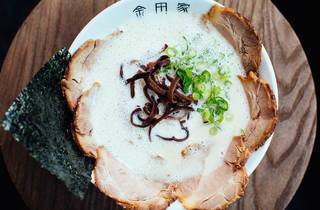 Kanada-Ya has the absolute best broth in London (I think) and once you've had it, you'll never look back. They serve up a great portion for a reasonable price and it's truly a dish that warms you right up. Queue early or you'll be hard pressed to get a seat! This is definitely the BEST needle shop in London by far. it's just good for people who don't know much about ramen.